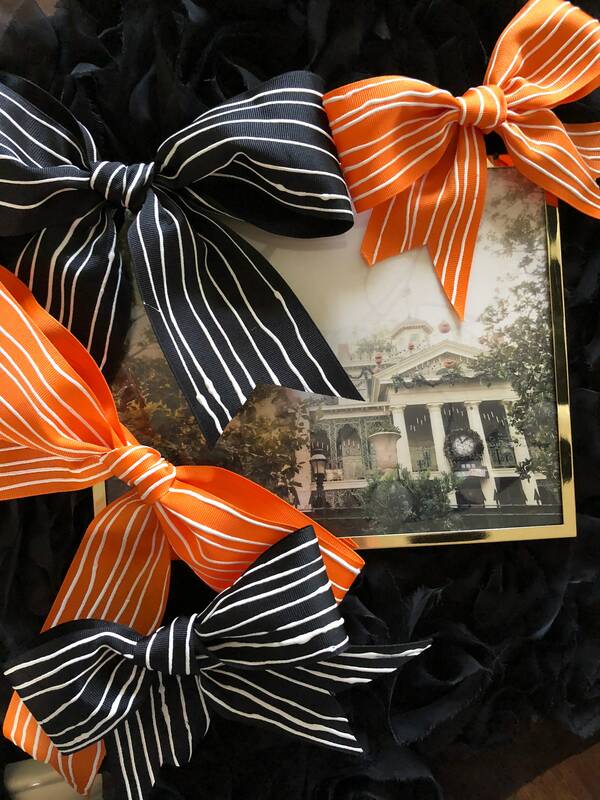 Happy Hallow-Decorating everyone! 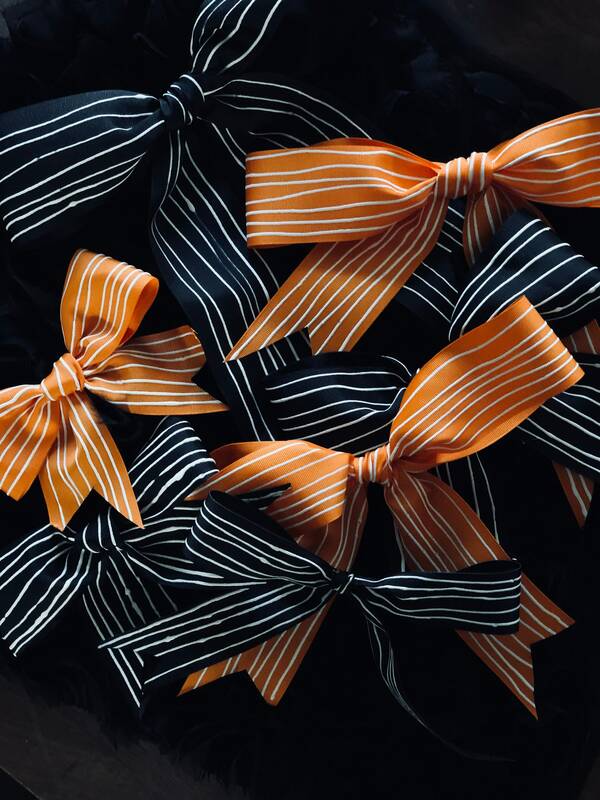 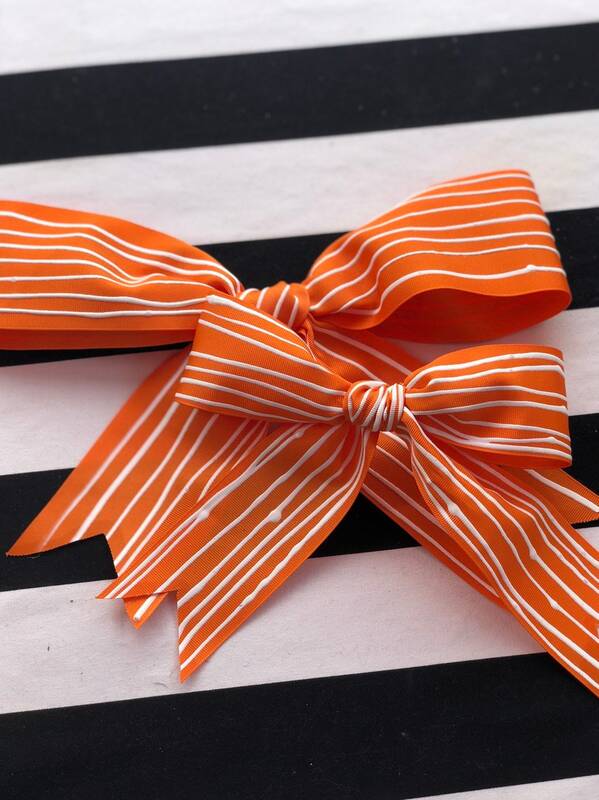 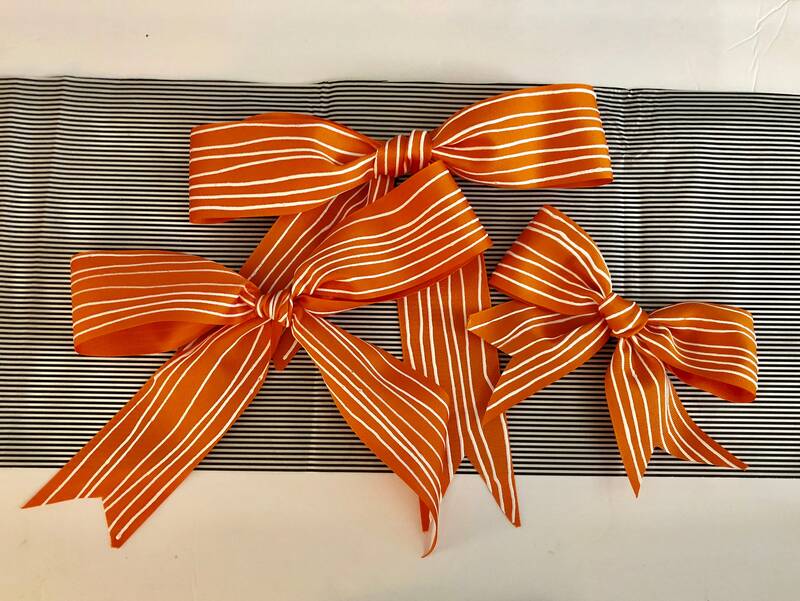 Orange and white bows are here! 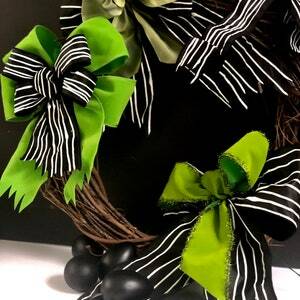 Do you love the bows at Haunted Mansion? 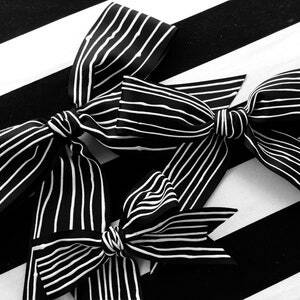 Do you covet Jack Skellington's suit and bow tie? 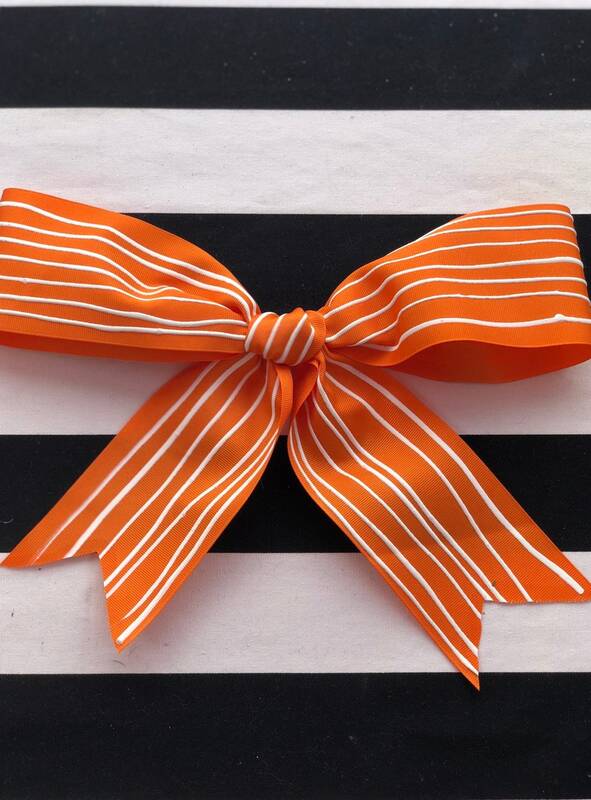 Now you can decorate all the presents, wreaths, or entire parties with our Stripey Bows! 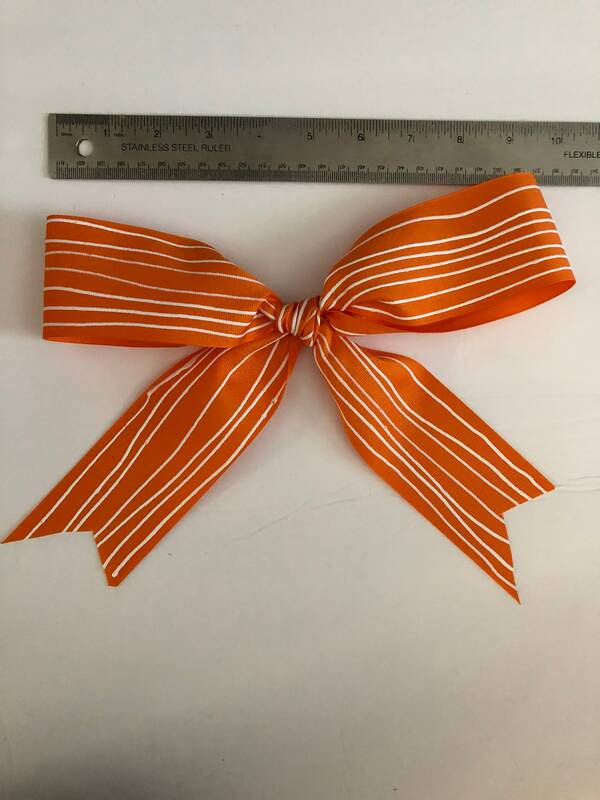 Small: 2.25" wide orange grosgrain ribbon, 6" from loop to loop with a 4" tail. 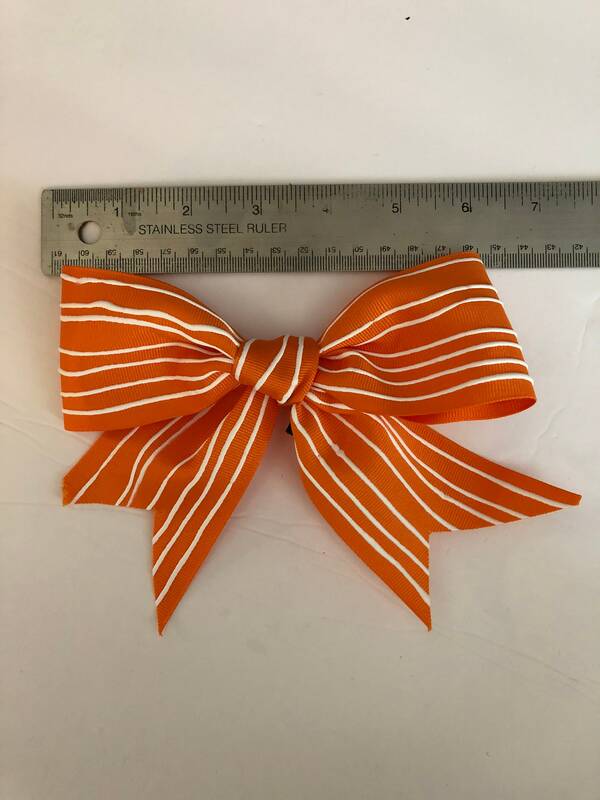 Black twist tie attached, but can be removed.